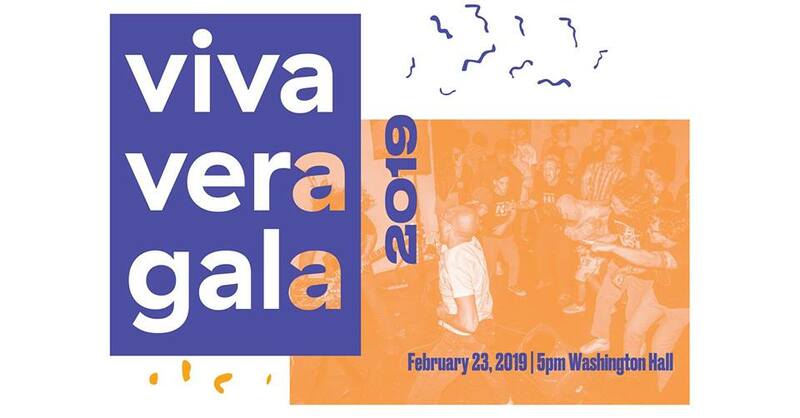 The Vera Project and Sub Pop Records present the 2019 Viva Vera Gala at the historic Washington Hall! Join us as we celebrate VERA’s role in creating a vibrant Seattle all-ages music & arts scene. Your support of Viva Vera will help The Vera Project uplift thousands of young people through meaningful participation in music & the arts, expand our transformative programming into underrepresented communities off-site, and continue acting as a creative home to so many. The evening will begin with passed hor d’oeuvres (vegan & gluten-free inclusive), and cocktails while bidding on silent auction items galore. We’ll then move up to the Ballroom for a seated dinner with your True & Sincere Friends as the program begins. Save room, as desserts will be auctioned off for purchase during the Live Auction! With a performance by a young artist emblematic of our mission, a flurry of auction items, stories about VERA’s transformative programs, and testimonials by our youth-led membership, you’ll leave with your heart full and your cup empty. After the close of the main event, the fun will continue at an exclusive 21+ afterparty at Chop Suey, as VERA takes over the crazy-popular weekly Dance Yourself Clean indie pop dance-party just down the street. The afterparty is open to the public, with a portion of the admission & drink sales continuing to fuel VERA for the year ahead. For more information contact Ashraf Hasham, Executive Director, at ashraf@theveraproject.org. The Vera Project is a 501(c)(3) non-profit organization, tax ID 31-1816016, and all donations are tax deductible to the fullest extent of the law.